I’m going to take a moment to gloat: Texas is the smartest state in the entire country. Not only did Texas voters send a message to Obama and the Democrats, that message was written with such force it left a permanent crater where the state Democratic Party headquarters once stood. There is no mistaking what Texans think of Obama and his miserable party. Gov. Rick Perry won re-election easily, defeating the Obama-in-boots Bill White by about 13 points. Perry never broke a sweat. 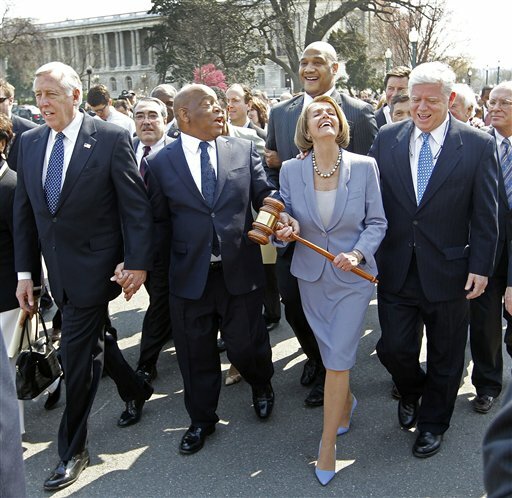 The voters kicked three useless Democrats – Chet Edwards, Ciro Rodriguez and Solomon Ortiz – out of the US House. Their replacements, Bill Flores, Quico Canseco and Blake Farenthold – are all conservative Republicans who’ll do the state proud. But the real shock of the day came in the state House, where a whole lot of Republicans who really no one expected to win, won. The GOP has a massive 99-51 seat edge in the House now, which means the House Democrats are irrelevant. Even the Democrats’ leader in the House, state Rep. Jim Dunnam, ended up losing to Marva Beck. Up until she decided to run, she had been the GOP county chairman of rural Leon County out east. Dunnam is a bazillionaire trial lawyer so arrogant he didn’t even bother to actually live in the district that elected him year after year; Beck is a citizen legislator after Tuesday. It’s going to take the Texas Democrats a very long time to recover from this. They took the worst beating in Texas history and have absolutely nothing to hang onto for solace today. Texas voters are never ones to go for subtlety, but this beating is one that’ll end up in the history books alongside Sam Houston’s epic win at San Jacinto. Well, maybe not, but it’s pretty big. So yeah, I’m drinking up the Democrats’ tears today. They’re tasty! How is soon to be former state Rep. Mark Strama like Obama? Aside from the fact that their names rhyme and the former clearly supports the latter, they’re both lying liberal Democrats. Check out this slick vid put out by the fiscal hawk group Empower Texans yesterday. It says it all. In Williamson County, just north of Austin, the Democrats are now in open civil war after the county chairman there resigned yesterday, lashed out at the tyrants and liberals (his words, more or less) who run the state party. Then Democrat state Rep. Diana Maldonado, a liberal herself who’s likely to lose in a couple of weeks, accused the resigning county chair (her district is in that county) of being an unstable criminal. Well, Diana, if that’s the case, he’s a perfect fit for the Democrats. But in his resignation, the chairman doesn’t sound like a criminal to me. He sounds like he’s just fed up working with socialists. It is quite apparent that many members of the Williamson County Democratic Party leadership are interested in following a more liberal national agenda than listening to the majority of their constituents here locally. As a fifth-generation Texan and longtime supporter of Conservative, Texas principles, I find myself isolated within the party ranks and unable to relay my message of fiscal responsibility, family values, free-markets, and fair play. The divisive, rigid leadership with the State and local party have made it clear from the beginning of this term that they have no interest in my opinions; engaging in personal name calling, the marginalization of the Chair’s voice, and claiming my Texas ideals are out of touch. That needs to be posted everywhere. It’s a real Blue Dogs’ version of Martin Luther’s 99 Theses. In his resignation letter, Windham endorsed Maldonado’s opponent, Larry Gonzales, giving him an interesting curve ball to slap out like Josh Hamilton in the Bronx. With all this going on, what are the state Democrats up to? Oh, they’re only working hard to screw up the vote in Houston, Texas’ largest city. Harris County Attorney Vince Ryan expects to meet this morning with the county’s Democratic and Republican chairmen after receiving complaints of possible voter intimidation on the first day of early voting on Monday. The complaints came from predominantly minority precincts. “We have a long way to go in this election, and we’re committed to having it done lawfully and successfully,” said Terry O’Rourke, first assistant Harris County attorney. The complaints, he said, came from Kashmere Gardens, Moody Park, Sunnyside and other predominantly minority neighborhoods. The complaints included poll watchers “hovering over” voters, “getting into election workers’ faces” and blocking or disrupting lines of voters waiting to cast their ballots. The “beholder” in this case being deeply connected to the real perpetrator of massive voter registration fraud. Allegedly. The Texas Democratic Party, a slackjawed leftist zombie made up of Washington operatives and trial lawyer money, is reportedly suing the skin off the local Tea Party groups. And that’s how you silence opposition, or try to. These Democrats are not only desperate, they’re downright evil. 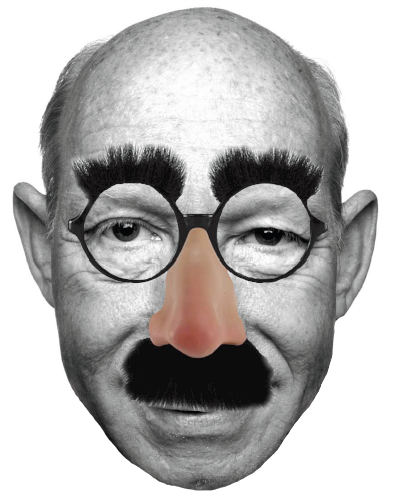 Bill White’s getting desperate. Today he’s out slamming how Gov. Perry has run the Texas Emerging Technology Fund, under the mistaken impression that the Governor has total control of it. The Dallas Morning News reported Sunday the state has given more than $16 million to high-tech startups whose investors are big donors to Perry. He is seeking an unprecedented third four-year term in the Nov. 2 election. White mocked a Perry campaign ad that proclaims Texas as open for business. The ad refers to the state’s favorable business climate, but White says only Perry supporters are able to benefit under the system. “For those companies that open pockets with campaign contributions, indeed the governor’s office is open for business,” he said. Har de har. White should join his insult comic pal Barack Obama and take their two-man show on the road. As long it keeps both out of Texas. What the story doesn’t say is that there’s any reason to think the management of the fund is corrupt. That’s because there’s no evidence of that. It does say something that’s inconvenient to White’s argument. Perry, the lieutenant governor and speaker of the Texas House decide together who receives the grants through the Texas Emerging Technology Fund, which was created in 2005. Lt. Gov. David Dewhurst, who presides over the Texas Senate, said Sunday he hadn’t been lobbied by Perry’s office or by House Speaker Joe Straus in the decision making process. Eight companies out of 120 that got funds had some kind of tie to the Governor. That’s not a high percentage, nor is it evidence of anything but the fact that the Governor has some fairly high rolling contacts. One might expect that of a Governor who has been in office for 10 years, and who governs a state the size of France with the 15th largest economy in the world. In other words, this is hardly a bombshell. But – the White attack has given me the opportunity to bring up BTEC. That’s a deal where Mayor Bill White did have mucho control and even went to bat for a company that he had a financial interest in. And he went to bat for them in the midst of hurricane relief. And then they rewarded him. The AP’s been all over this story all summer long. While Houston’s mayor, Bill White got involved in a billing dispute between an area agency and a company he recommended to help the region recover from Hurricane Rita, playing a greater role in the transaction than previously acknowledged, according to documents and interviews with those involved. White, now the Democratic nominee for Texas governor, was invited five months after the dispute was settled to invest $1 million in the privately held company. He has reported more than $500,000 in earnings on that investment. White’s recalling of the tale has shifted as new facts have come to light. In other words, he shapeshifting to try to match what the reporters dig up, and not shooting straight with Texans. 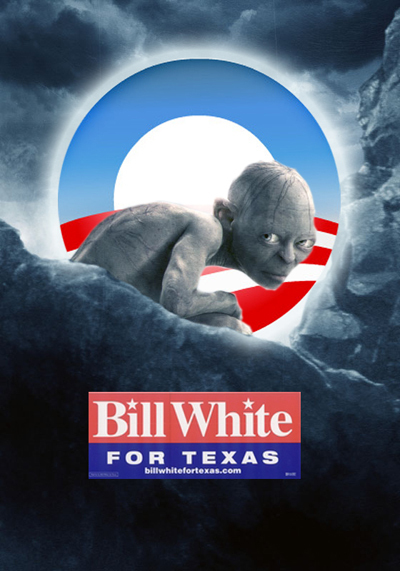 Be not fooled by the man who could pass for Gollum’s twin: Texas really is open for business. Gov. Perry really has operated on the up and up to bring more and more businesses to Texas, a fact that Bill White doesn’t like. If he had his druthers, Bill White would close down the enterprise funds, jack up our taxes and bring about the cap and trade policies that he tried to help Obama sell. Dude. You’re not fooling anyone. We all know you’re just Obama in boots. Obama on Tuesday will visit Fort Bliss to mark the end of combat operations in Iraq. He will meet with soldiers in anticipation of a new phase of military action that begins in September with about 50,000 soldiers staying to “advise and assist” the Iraqis. Texas Democratic gubernatorial candidate Bill White will be absent. So will New Mexico’s Democratic nominee for governor, Diane Denish. White says he’ll be in Fort Worth, which is about 600 miles away from El Paso. That’s one heckuva duck and cover routine.